Jason Hanson was born to serve. After graduating from Radford University, Jason joined the Arlington County Police Force. Shortly thereafter, Jason set his sites toward The Central Intelligence Agency. Unfazed by the more than 2,000 applications they received every day; he applied for the opportunity to serve his country. Once accepted by The CIA, Jason spent nearly a decade at the Agency, where he was grateful to work with amazing men and women who protect our country. 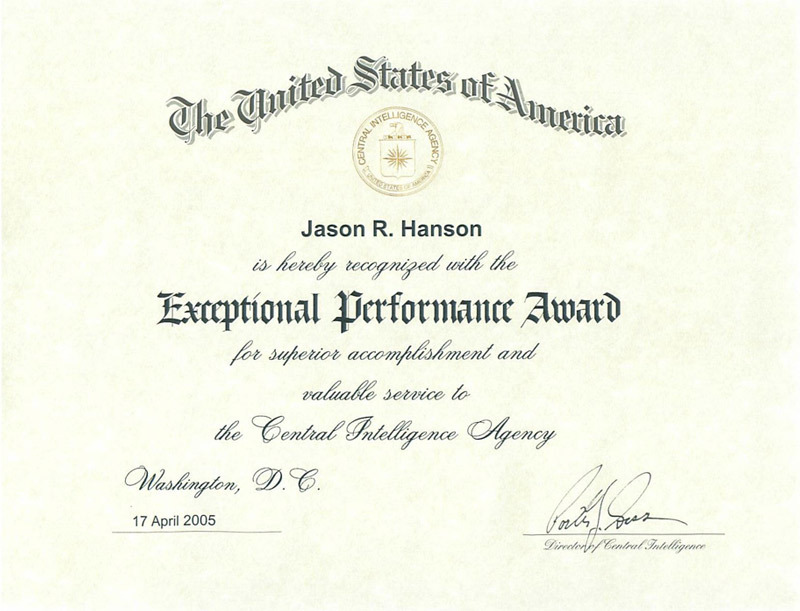 Jason won The CIA’s Exceptional Performance Award, not once, but twice (once in 2005 and again in 2008). Jason realized that Intelligence was, as he put it, “A single man’s game.” Jason wanted a family, so he tendered his resignation from the Agency. In 2010, Jason became the Founder and CEO of, Spy Escape & Evasion. (www.spyescape.com). The goal of Spy Escape & Evasion is to teach men and women how to be safe using Spy Secrets that 99% of Americans will never know. “You don’t need to spend 10 years becoming a black belt. You need to know how to be situationally aware, how to use defensive tools and techniques and learn the “Inside Secrets” to using these techniques to stay safe.” Jason began teaching two-day courses filling rooms across the country, training thou-sands. With his second book due out later this year, Jason has created an online community offering safety and survival products, online courses, blogs, newsletters and more. Jason regularly appears as a Keynote Speaker at corporate events, conferences and conventions worldwide. Jason has appeared on The NBC Today Show, Dateline, Rachael Ray, Fox & Friends and more. Jason has been interviewed by Forbes, NPR and The Huffington Post among others. In October of 2016, Jason created and performed a one-man show, live on the Strip in Las Vegas at the Stratosphere Hotel Theater, called, “Spy Escape & Evasion.” This one-of-a-kind experience offers the audience a chance to see Real Spy Tradecraft up close and personal and teaches them how to stay safe, with a side order of laughter and even a little intrigue. After only four shows, Jason was offered a one-year engagement at the Stratosphere. Jason is a busy man: Opening Spy Schools worldwide, teaching, manufacturing more than a dozen products, presenting Keynote Addresses, running a Spy Ranch, Spy Classes (many of which carry a Certification from Southern Utah University), an online e-commerce empire and “SpyVersity,” a series of online courses offering Spy craft, Cyber Security, Home Defense and more.